Happy 2019! Occasionally a resident will attend a meeting of Parma City Council and wonder why there is sometimes little discussion about the items upon which members of Council are voting upon and why most items pass unanimously. The reasoning for this is because members of Council have already discussed, debated and compromised on the items they are voting on in the Council meeting in their respective committee meetings. This month’s column is dedicated to making you aware of the various committees of Parma City Council and who serves on each of them. Parma City Council typically meets on the first and third Mondays of each month. From 6:00 pm to 7:00 pm City Council committee meetings take place, while the Council meeting begins at 7:00 pm. It is in the committee meetings where “the sausage is made” as they say on politics. That is, it is in these meetings where members of Council discuss and debate the ordinances and resolutions they will vote on in future Council meetings. Members of the public are always welcome to attend and share their opinion about the issues being studied by Council. Arguably the most important and typically busiest committee of Parma City Council is the Finance Committee. 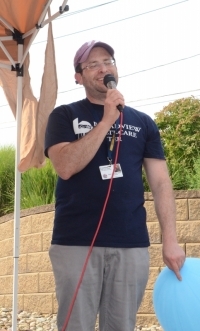 Chaired by Ward 7 Councilman Brian Brochetti (Vice-Chair Ward 8 Councilman Dennis Kish – former Parma Auditor), the finance committee deals with every bill dealing with expenditures of the city. In fact, this month this committee will meet several times to review the budget proposals of the various departments of the city. Every cent of taxpayer dollars is closely and methodically scrutinized by this committee, which includes every member of Council. Therefore, if you are interested in learning more about city finances, the budget review meetings would be right up your alley. They will take place on the following dates: Wednesday, February 6 (6:00 pm), Monday, February 11 (6:00 pm), and Wednesday, February 20 (6:00 pm). Other meetings may be scheduled, as needed. Check the calendar at the City of Parma website to verify. The Governmental Operations committee, as the name suggests, deals with a wide range of issues, including utilities, city policies, etc. This committee is chaired by Ward 4 Councilwoman Kristen Saban, while Ward 3 Councilman Mark Casselberry serves as Vice-Chair. Other members include Vito Dipierro (Ward 1), Roy Jech (Ward 9) and Brian Brochetti. The Planning Committee of Council is chaired by Ward 5 Councilman Alan Divis (Vice-Chair Roy Jech) and deals primarily with zoning and building issues. For instance, if someone owns a piece of property that is zoned residential and wishes to have it changed to commercial so that they can open a business, this is the committee that reviews the issue and makes recommendations to all of City Council. Other members include Vito Dipierro, Mark Casselberry and Dennis Kish. 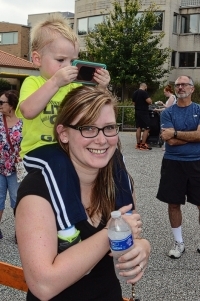 The safety of Parma’s residents is the number one job of our city government, which is why the Safety Committee, chaired by Ward 2 Councilwoman Debbie Lime (Co-Chair Brian Brochetti), is so vital. From studying and recommending the use of body cameras by the Parma Police Department, to approving staffing levels of the police and fire departments, to reviewing our building codes, this committee is instrumental in the short-term and long-term safety goals of our city. Allan Divis, Ward 6 Councilman Larry Napoli and Mark Casselberry also serve on this committee. 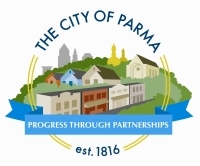 Snow plowing and street paving, among many other services provided by the City of Parma fall under the purview of the Service Committee, which is chaired by Mark Casselberry (Larry Napoli serves as Co-Chair). Brian Brochetti, Kristen Saban and Vito Dipierro also serve on this committee. Do you know what a riparian setback is? Among many other issues, it is the Environmental Standards Committee chaired by Larry Napoli (Kristen Saban Co-Chair) that deals with this and everything green. In fact, the work of this committee is a major reason why the City of Parma has been commended for being at the forefront of environmental protection at the local level of government. The creation of the West Creek Reservation is just part of the proof of this. Incidentally, a riparian setback is the distance one is allowed to build next to where the water meets the land. Parma is the model for other cities in Ohio on this type of legislation. 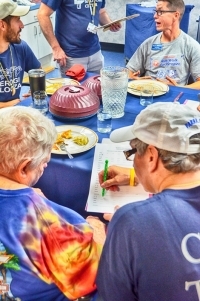 Other members of the committee include Roy Jech, Debbie Lime, and Dennis Kish. The City of Parma has several Boards and Commissions that keep the City running smoothly, including the Board of Zoning Appeals, Board of Building Appeals, Civil Service Commission, etc. When the term expires for members of these organization the mayor makes a recommendation to council. It is this committee, chaired by Roy Jech (Allan Divis, Co-Chair), that reviews each applicant’s qualifications and makes a recommendation to all of Council. Other members include Larry Napoli, Dennis Kish and Brian Brochetti. I hope this column helps you better understand the mechanics of your local government. Stay warm this month!